Burnham Overy Staithe lies on the North Norfolk coast between Holkham and Burnham Norton. 'Staithe' is an Old English word meaning 'landing place'. The original settlement was Burnham Overy Town which lies a mile or so inland and was once a busy port situated on the navigable River Burn. Like many of the North Norfolk rivers, the Burn has since silted and declined. Burnham Overy Staithe has really only been in existence since WW2. 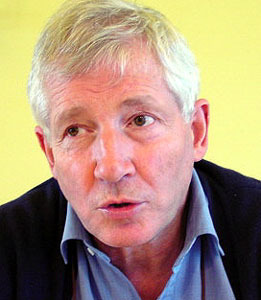 The village is particularly associated with the poet Kevin Crossley-Holland. He was born in Buckinghamshire but visited Burnham regularly as a child - staying with his grandparents. there he goes, old magpie of the foreshore! Face chafed and chapped like driftwood. Crossley-Holland is also a prolific children's author and many of his stories are influenced by East Anglian folk tales e.g. The Pedlar of Swaffham (1971) and Black Shuck. His work as an Anglo-Saxon scholar has also been an influence and can be seen in his translation of Beowulf. Crossley-Holland was one of the founders of the Wells Poetry Festival - an annual event held in the nearby town. The novelist and playwright Patrick Hamilton (1901-62) lived in the village during the 1930s while working on The Siege of Pleasure. During this time his wife, Lois Hamilton, banned him from the local pub - The Hero - which was close to their cottage but she did allow him occasional pints in The Lord Nelson at Burnham Thorpe and The Ostrich at South Creake. Hamilton had a close association with the North Norfolk coast and also lived at Highfield House at Blakeney and Long Acre at Cley before moving to a flat in Sheringham at Martincross. He died of an alcohol-related illness in 1962 and his ashes were scattered at Blakeney Flats. There are six Burnham villages in all: Burnham Market, Burnham Thorpe, Burnham Norton, Burnham Deepdale, Burnham Overy Town and Burnham Overy Staithe. Nelson was born at Burnham Thorpe in 1758 and it is likely that he learnt to sail in Burnham Creek. Today, houses in the area are highly sought after by 'wealthy folk' from London and hence why it's often known as 'Chelsea-on-Sea' or 'Burnham Upmarket'.